To get a better idea of what activities are popular from the Mt. McKinley Princess Wilderness Lodge we spoke with Hotel Services Manager Rick Peterson. One of the McKinley lodge’s annual traditions is a Christmas in August celebration. 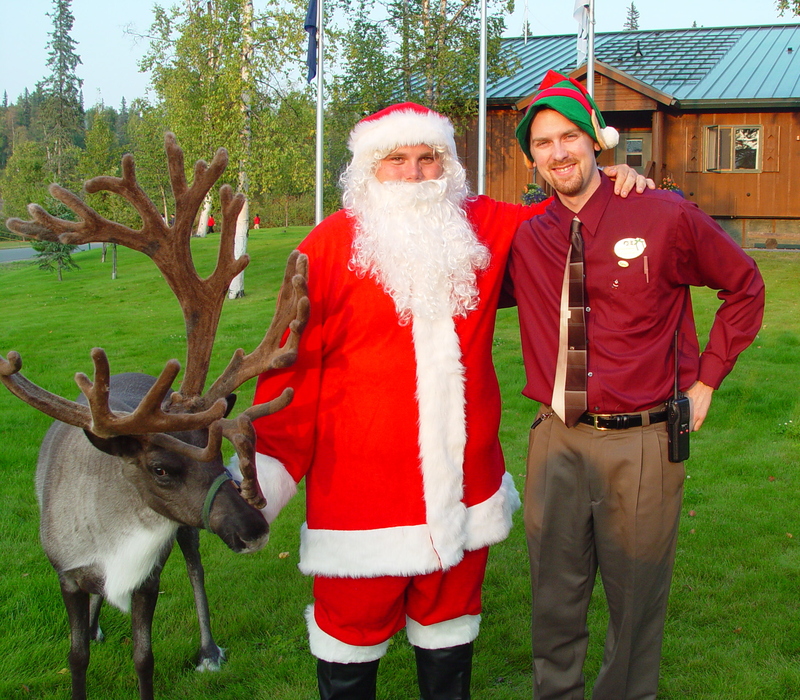 The lodge is decorated and guests are treated to Christmas cookies, a live reindeer and an appearance from Santa Claus. The event was inspired by a snowstorm closure of Yellowstone National Park and was adopted by the McKinley lodge about seven years ago. This year’s festivities are Aug. 24 and 25. Read more about them here. The McKinley lodge is also welcoming painter Don Kolstad. While Kolstad paints nature scenes in the great room, guests can interact with him and ask him questions. He will be painting from 5-7 p.m. Aug. 25 and 11 a.m. to 1 p.m. on Aug. 26. Peterson said guests have been enjoying a recent Fireweed Mocha special at the espresso bar. The drink features espresso mixed with chocolate, French vanilla, cherry, cinnamon and milk and is especially popular because the lodge property has several large areas featuring beautiful fireweed plants. Peterson said guests are sometimes surprised to learn that the plant earned its name because it is often the first plant that starts to grow in areas that have experienced forest fires.